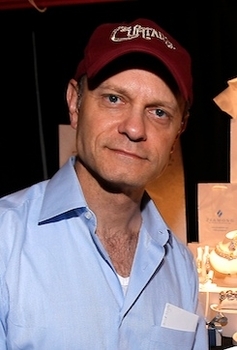 Ziamond Cubic Zirconia CZ Jewelers welcomed actor David Hyde Pierce! Ziamond Cubic Zirconia CZ Jewelers is the place to come to for the finest men's collection of cubic zirconia cz jewelry. Ziamond Cubic Zirconia CZ Jewelers features an extensive collection of men's rings, men's earrings, men's bracelets, men's pendants, men's necklaces, tie tacks, and lapel pins. All Ziamond cubic zirconia cz jewelry is set in 14k gold, 18k gold or platinum. We also offer custom design services for the item of your dreams!